Site visit on the 15th of July to Barrio Da Liberdade, one of the two sites (cases) that will be studied during the workshop. 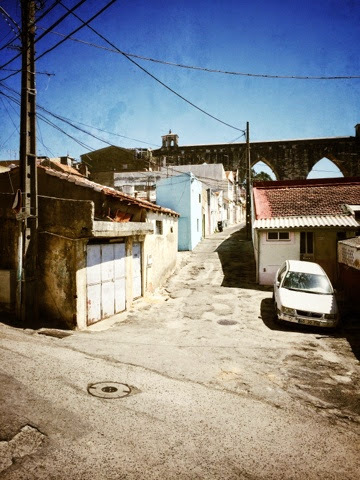 This favella in the North West of Lisbon is marked by the presence of the Aquaduct. The encounter with it's inhabitants was highly enlightening, confronting and hearthwarming! It looks such a contrast to the organised structuralist system of Portela. would love to have seen it but no time. Maybe its more democratic and involving of residential needs in how it developed. Though clearly overcrowding and poverty are huge issues. It will be great to hear the students describe the different characteristics of these two schemes and see the final presentations of their approaches to reconfiguring parts of them.